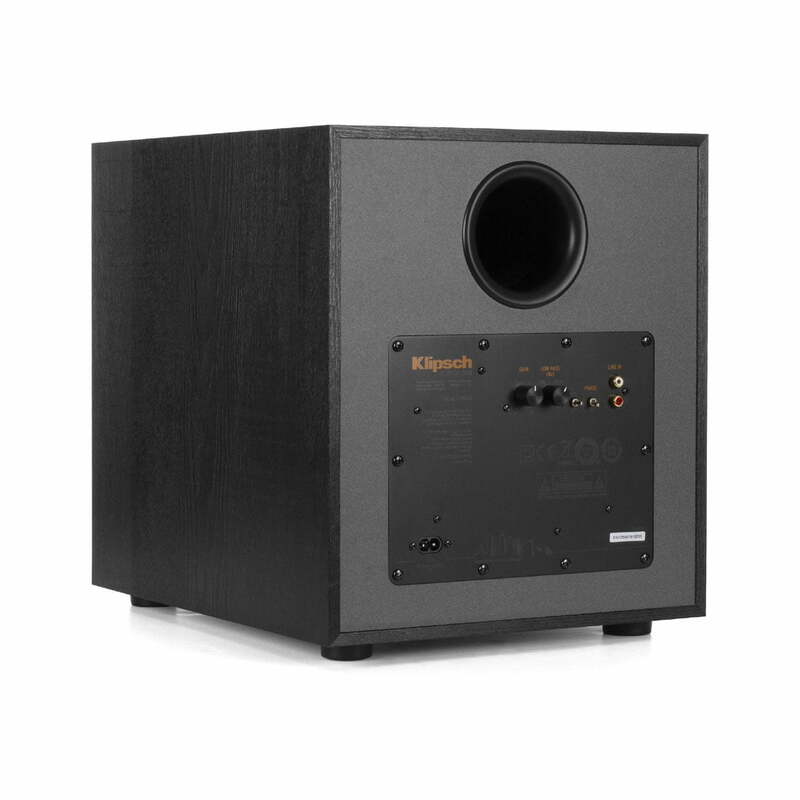 Klipsch R-120SW Powered Subwoofer has just what you need. 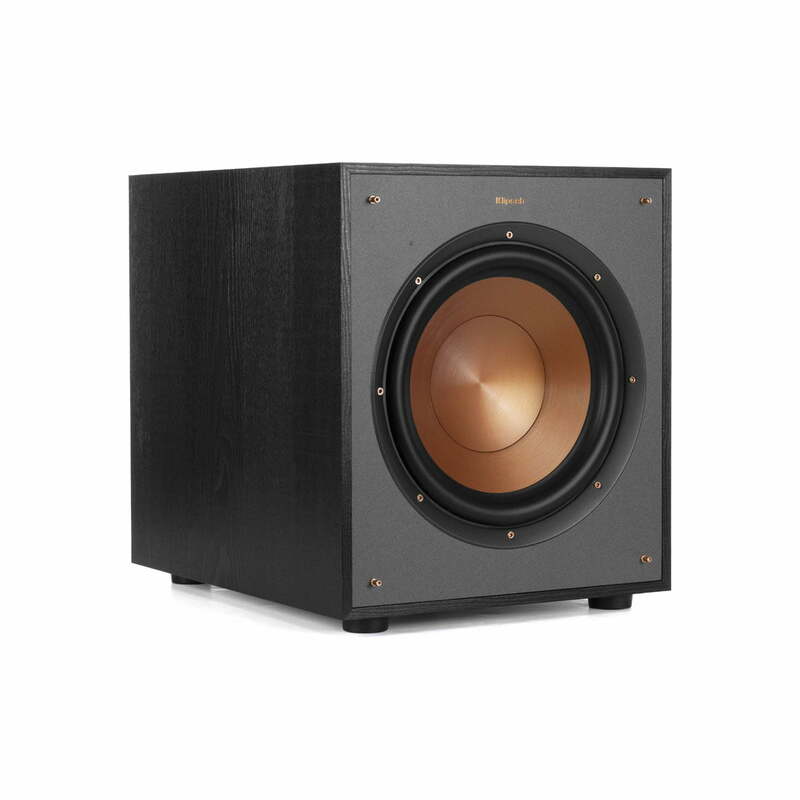 This high-output powered sub boasts a potent 200-watt amplifier and a strong-yet-lightweight 12″woofer designed to lay down a deep and detailed bass foundation. With the R-120SW in your system, you’ll hear and feel your movies, music, and video games come roaring to life in your living room. Injection Molded Graphite (IMG) woofers are exceptionally light while being extremely rigid Providing remarkable low frequency response, with minimal cone breakup and distortion.